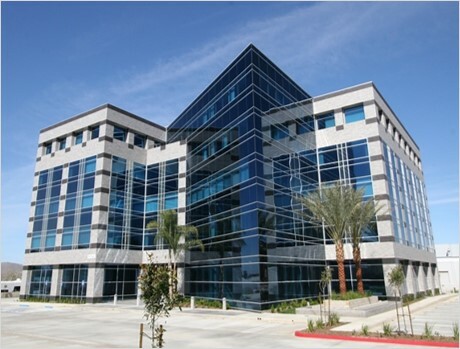 Fident Capital secured $9.5MM of permanent financing for a multi-tenant office building in Riverside, California. Known as the Spruce Street Professional Center, the five-story, 77,841 square foot “Class A” office building sits on a 2.81-acre site. Originally constructed in 2007, a mix of local and national tenants occupy the steel and glass mid-rise. Working with one of the largest finance companies in the world, Fident’s CMBS execution funded at 75% LTV, an 8% debt yield, and a 1.25 debt coverage ratio on a 30-year amortization. Proceeds from the fixed-rate, 10-year loan on a 30-year amortization repaid the 2007 vintage term-loan that was maturing. The diverse tenant mix, 87% occupancy, and attractive loan basis of $122/SF were more than sufficient to entice several lenders to support this financing. However, the main challenge to the deal was the fact that the previous term loan was secured in the 2007 era, when the Riverside market offered higher office rents, higher occupancy levels, and stronger values. As such, the in-place mortgage was larger than the current cash flow would support. Therefore, the main focus of the financing was to secure maximum proceeds. Two paths revealed themselves. Path one was to take a short-term bridge to bring the property into truly optimal performance by getting closer to 100% occupancy and optimizing NOI for a more perfect term loan. While that path held promise of the highest proceeds, it was more risky, as the takeout was contingent upon future leasing and the then-in-place interest rates’ impact on forward loan proceeds. Furthermore, while this would be I.O. debt, it had a variable rate. The alternative path was to lock in the fixed-rate financing the market could offer now, and minimize the amount the borrower would need to provide out of pocket to balance the new loan and the pay-off amount. Fident provided loan options on both side of this spectrum. Given concerns about the rising interest rate environment as well as market risks in speculating for a better occupancy, the latter path was the path chosen. The final challenge to the deal was speed. Due to other operational constraints with the borrower, this financing did not get attention until the loan maturity was within 60 days. It took diligent efforts on behalf of Fident, the borrower, and the lender’s team and vendors to close the deal on time.